Fabric HQ, a great find! Hello! Long time no post, I know. I'm so busy juggling the little ones and the housework and the many projects I'm always chipping away at that managing to actually complete anything and document/put together a blog post about it takes me forever! 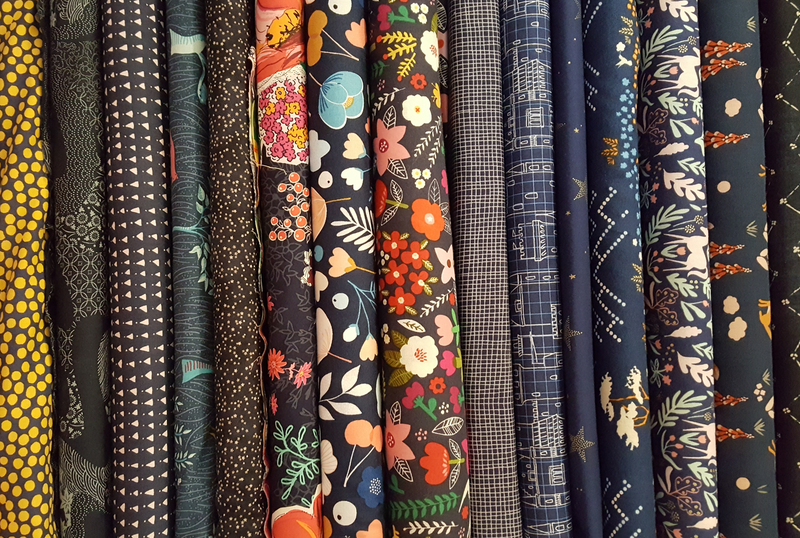 I have forced myself however to sneak in this little post about an excellent fabric and haberdashery shop I found on Saturday. 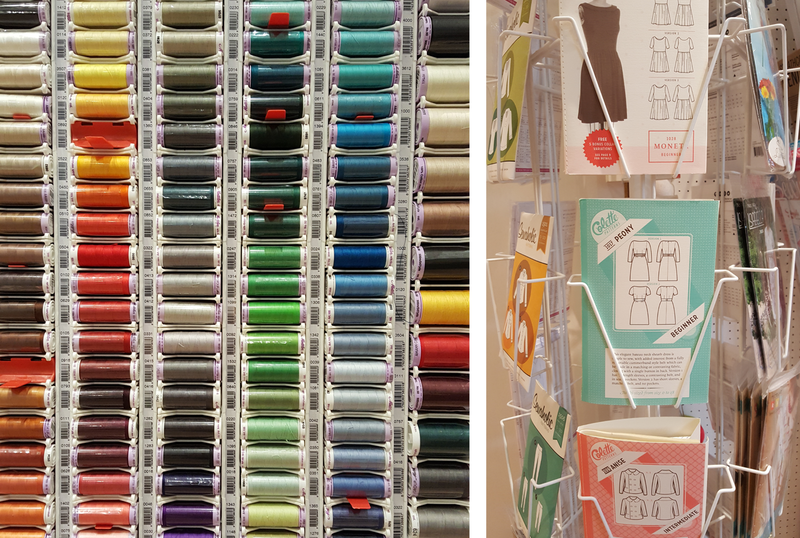 Based in Stoke Mandeville in Bucks is Fabric HQ, which holds an awesome fabric collection, patterns and sewing bits and bobs. The room is a lovely clean white space, filled with colourful patterns and solids, arranged and collated really beautifully by colour and theme. I got chatting to one of the owners Jaqcui who was really knowledgable and friendly, and helped me make my choices. 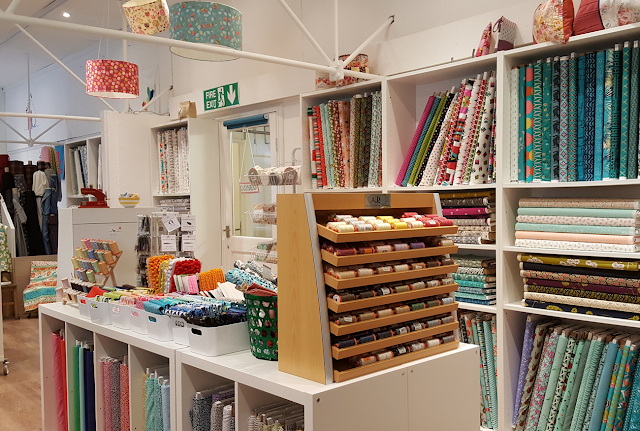 At the far end of the room there was a dressmaking class in progress, which added to the great atmosphere of lots of like minded 'makers' busily browsing. I look forward to going along to some classes in the future if I can manage it! 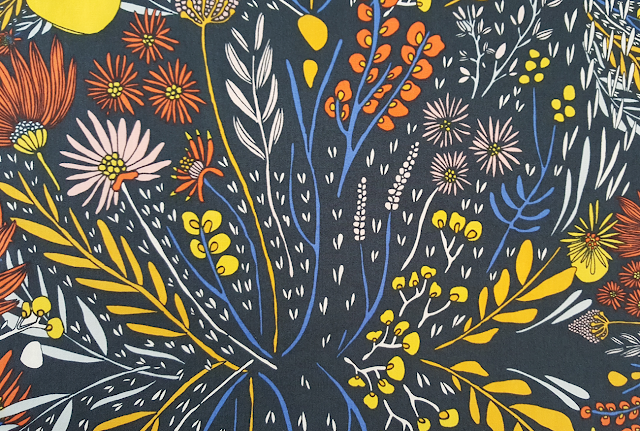 They sell online too so you should really check out their lovely prints. Dotted about the place are handmade garments and goods which I found pretty inspiring, and I was overall just so impressed at the 'tasteful' collections. 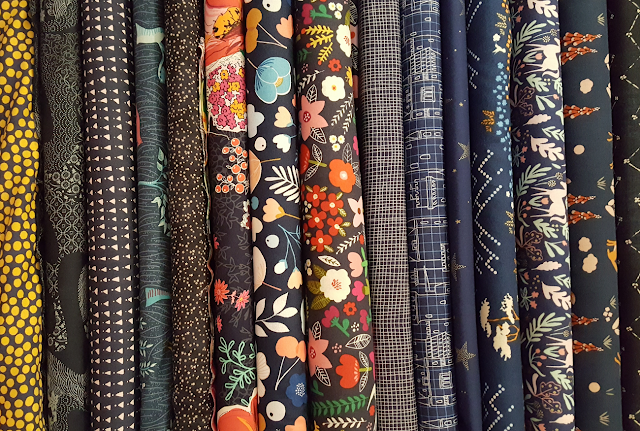 I have been to many a fabric shop and had to wade through loads that wasnt to my taste, but this place was full of quality fabrics including some gorgeous retro styles that clearly appealed to me! 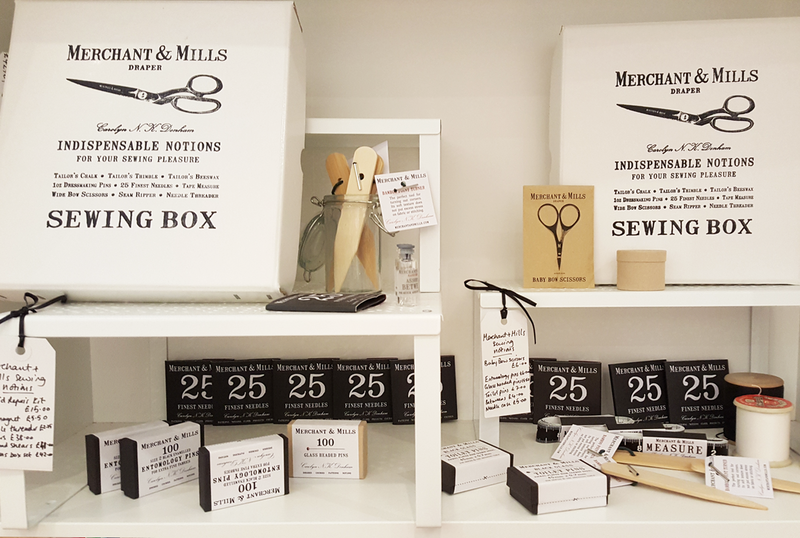 They also had loads of Merchant & Mills stuff, and I am such a sucker for their beautiful packaging and branding. The shop itself operates among a cute little collection of single storey small business units, at Layby Farm in Stoke Mandeville. I didnt have time to check out the other places but noticed they include an art gallery and biscuit shop, and the units are a stones throw from a goat petting zoo which is brilliantly random!